Being webhost, when customers report us for their slow website or blog, we encourage them to integrate Content Delivery Network (CDN). Let’s discuss what are benefits and drawbacks of Content Delivery Network. A Content Delivery Network(CDN) is a cluster of geographically distributed servers being used to deliver static content like images, scripts, CSS and libraries quickly to visitors from the nearest server. In simpler words; when visitors browse any website, CDN chooses the nearest server to deliver static content used in website. CDN allows the visitors faster page loads and enhanced user experience. Static content will be served from the nearest server, your bandwidth requirements will be certainly decreased. Content delivery network provide faster page loads and performance with redundancy. CDN copies your static contents to geographically dispersed servers, hence your website load is divided among them. Ultimately, your website is highly available to your visitors. CDN service is probably primary step to improve your SEO strategies and lift Google page rankings. Because, poor and slow loading websites will face more challenges to rank good in search engines. In SEO world, it is proven fact that, websites those have higher bounce rates( big number of visitors leaving the websites within few seconds) cannot achieve desired search engine rankings. CDN is extremely useful for the Websites with larger Images and videos but struggling with loading speeds. Despite the obvious benefits, following are some potential downside of CDN. You will have to spend some more bugs to avail this service. Even if you consider most affordable CDN service provider, you need to spend around $0.10 per GB. It don’t seem much but comparing it with your regular hosting plan bandwidth, It is too costly. Storing some sensitive files on CDN network may open potential security vulnerabilities. Because, does not matter what you store at CDN; it will be copied to all distributed servers. You can easily integrate CDN with well known script like Drupal or WordPress. On contrary with custom application developing, you may have hard time modifying lots of code lines. CDN network contains most updated static data. Hence, you may find difficulties in application development. In other words, to preview latest changes you made, you will need Internet connection as you won’t have a local copy. This could be a headache for non technical writer or Blogger. 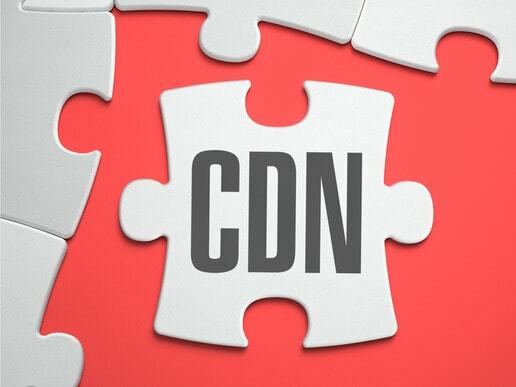 Since your static content will be served from other sources, CDN demands additional DNS lookup. Using CDN, you are creating additional “point of failure”. If the CDN network goes down you may lose website visibility. Do I need CDN service? If you can spend little extra money on your website. If you really care about end-user’s experience of your website. If your blog is struggling with horrible image loading speeds. If your blog is growing audience and is scaling to serve more people. CDN is utter growing trend in the today’s world because key parameters that Google analyzes for optimal ranking are 1) load times 2) user experience 3) number of repeated visits. CDN technology is geared to address all these parameters. If you have noticed, some of the top websites are backed up by CDN technology. So it’s worth a try. At AccuWebHosting; we make CDN service truly seamless, quick, and easy. The AccuWebHosting team will help you with all the technical setup involved in your hosting account. Rahul is CEO at AccuWebHosting.com. He shares his web hosting insights at AccuWebHosting blog. He mostly writes on the latest web hosting trends, WordPress, storage technologies, Windows and Linux hosting platforms.